The decorating services we offer across Tulsa our second to none in the area. Whether you’re a homeowner or business owner that needs Tulsa Christmas Lights installation, we are the clear choice. Our Christmas light installers are ready to help you with anything you might need related to the installation, maintenance, and storage process. Give us a call today at 918-640-6405 to visit with one of our customer service representatives about setting up your free consultation. You can also check us out online at www.greenleafweedcontrol.com learn more about our company and what we can do for you and your family. The holidays are some of the most wonderful time us during the course of the year. Unless of course you are the one that gets assigned the duty of hanging up old Christmas lights. Then it’s your job to get out and climb the ladders and spent hours of your day untangling old light chains. Why not just cut out all of the hassle and headache by calling Tulsa Christmas Lights installation specialists today at Green Leaf Lawn. We are here to serve Tulsa and we are here to serve you and your family. We offer Tulsa Christmas Lights and a great Christmas light installation process. Some of the services that we offer include mowing, landscaping, holiday lighting, weed killing, and much more. 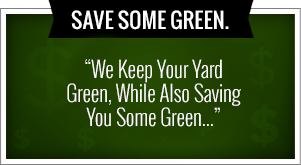 There is never a better time to call the experts at Green Leaf Lawn the right now. We will bring you the rich, beautiful lawn you’ve always wanted and we will take care of work around the year. The services that we offer will help you whenever Christmas rolls around. But not only do we help during the holidays, we have year-round services for all of your land care needs. With over 10 years of professional experience in our corner, we been providing lawn care services throughout the Tulsa area since we first opened our doors. Whenever it snows and you call our services we will make sure your driveway, sidewalk, and parking lot is quickly clear snow before were finished with work. It’s a great way to keep the holiday season more pleasant by using a company that is dedicated to helping you. Our professionals are here to help you with any lawn project ideas that you have in mind. And we can help you transform your home into a beautiful place that will truly stand out in your neighborhood and your borough. We will also give free estimates and references can be provided upon request. Seasonal services by Green Leaf Lawn are also provided including snow removal services. We have a heart for the city and that’s why we set up a program called “Cutting for the Kids” in which we donate five dollars to school districts of our customers choosing whenever we start new projects in the Tulsa, Oklahoma area. Our services not only help beautify the city, but the charity efforts that we engage in help young kids get the education they need. It’s truly the best of both worlds. Jamie Nix and Josh Mathias started this company because they believe in being responsible and also helping the people of Tulsa. It’s time to give your family the gift of a more professional Christmas lights display this year. The professional Tulsa Christmas Lights installers at Green Leaf Lawn will help you bring joy and cheer to all who see your beautiful home. It’s the holiday season and we can take care of making your home shine. We do Tulsa Christmas Lights displays like no one else in the area. Christmas lighting companies that serve Tulsa and surrounding Metropolitan area like Green Leaf Lawn are an invaluable service when it comes to staying safe and doing things right during holidays. You shouldn’t have to stress about all of the Tulsa Christmas Lights displays, and we want to do the hard work for you. You simply get to sit back and relax while sitting by the fire with your family. We will go out and untangle all the lights and make sure your home is beautiful for the holiday season. 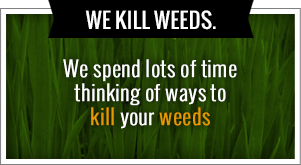 Give us a call today at 918-640-6405 and visit us online at www.greenleafweedcontrol.com for more information about what we can do for you. It’s the season to make your home a spectacle with festive Christmas lights for everyone to see. Our holiday lighting company will deck the halls with thousands of lights like LED’s and other types of lighting exteriors. That means that you get to spend time decorating your tree and icing gingerbread cookies in the warmth of your own home. Don’t go outside and put yourself at risk. Do you know that a lot of injuries happen every year when people are up on the roof during the cold months hanging their own Tulsa Christmas Lights displays. There’s no worse way to spend the holidays been in a hospital bed, so let the experts at Green Leaf Lawn take care of everything for you. You stay safe and you most importantly stay love and warm with your family this holiday season in a beautiful home. For yourself another glass of hot cocoa and sit by the fire with your family. Wouldn’t you rather slip on your favorite sweater and crash in front of a roaring fire than have to go out and leave the warmth of your own home to set up your Tulsa Christmas Lights displays. Christmas is a holiday that should be celebrated with family and at that time of year you can have the experts at Green Leaf Lawn taking care of your roof line with all of the beautiful Tulsa Christmas Lights displays you’ve been dreaming. It’s never been so easy to get your favorite part of the holidays into the forefront of your mind without losing the spirit. Remember to give us a call or visit us online to see what we can do for you when it comes to be experts at Tulsa Christmas Lights displays. Our company is dedicated to providing the people of Tulsa with the right kind of services no matter what time of year it is.